Ranjit Deshmukh is an Assistant Professor in the Environmental Studies department at the University of California Santa Barbara. 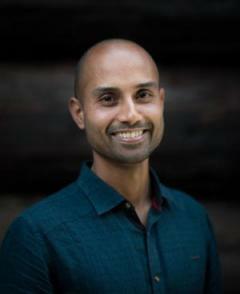 Ranjit’s research interests lie at the intersection of energy, environment, and economics, specifically in low carbon energy systems, clean energy access, and electricity markets. Ranjit is broadly interested in low carbon energy systems and clean energy access. Specifically, his key interests include: 1) strategies, policies, and market mechanisms for renewable energy integration in electric power systems, 2) incorporating multiple techno-economic, social, and environmental criteria for sustainable energy system planning, 3) technologies and incentives for increasing access to clean energy services in developing regions and low income communities. Ranjit’s work has taken him to India, Indonesia, and several countries in Africa. In pursuing his academic and applied research, he works closely with both government and non-government stakeholders including regulators, electric utilities, government ministries, non-profit organizations, and local communities. Energy systems and policy analysis; electricity sector planning, operations, and markets; geospatial analysis of energy resources; energy access in developing regions.